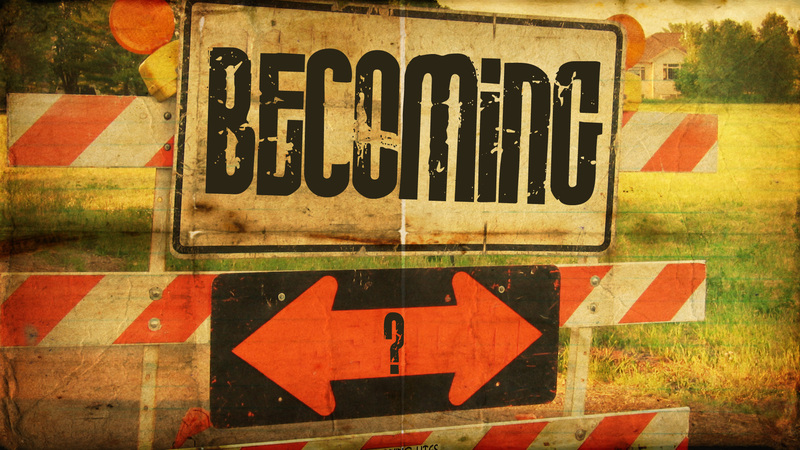 Wanting to be something and being that thing are two very different things. I want to be so many things. I want to be good and kind and selfless. I want to be intelligent and thoughtful and gentle. I want to serve and to teach my children to serve. I want, desperately, to be all of these things but am I really any of them? Not really. Am I some of them sometimes? Maybe. My one question for myself is why? What is the difference between someone who wants something and someone who has achieved it? The first thing that comes to mind is action. Obviously I am over-simplifying but for many things in life that is the main difference. What do I need to do to achieve what I really, truly want? I need to act. I need to find ways, small or large, to step instead of think. I need a plan of action and to implement my plan of action. I don’t want to just want to make the world a better place. I want to actually make the world a better place in every way that I can. About a month ago I purged. Well, I didn’t technically purge for real but I did go through my clothes a drastically reduce the number of clothes in my closet. The rest I boxed up and put in the garage for now. I’m about a month in and boy does it feel good. 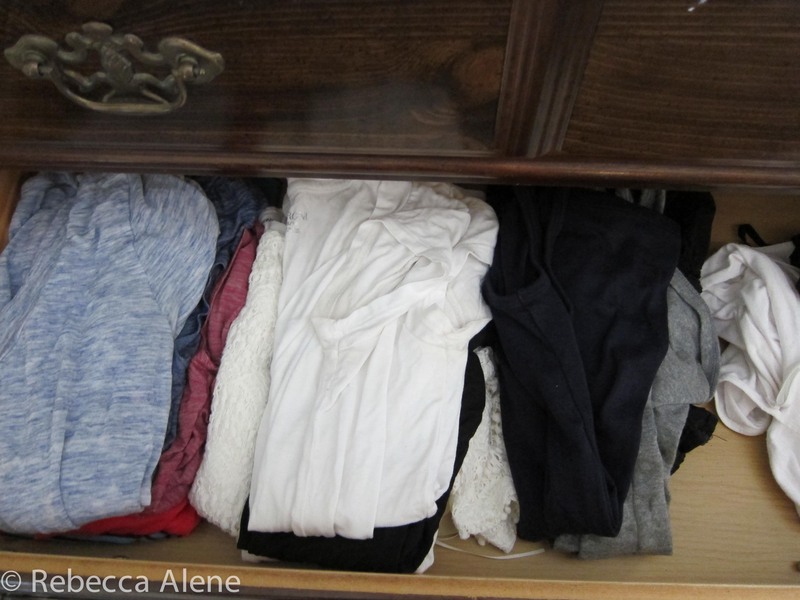 Everything in my closet and drawers is something I LOVE to wear. I never could have imagined that having less clothes makes getting dressed easier. I can grab anything and know I’ll like how I look. AND, as an added bonus, I can actually see everything I own. 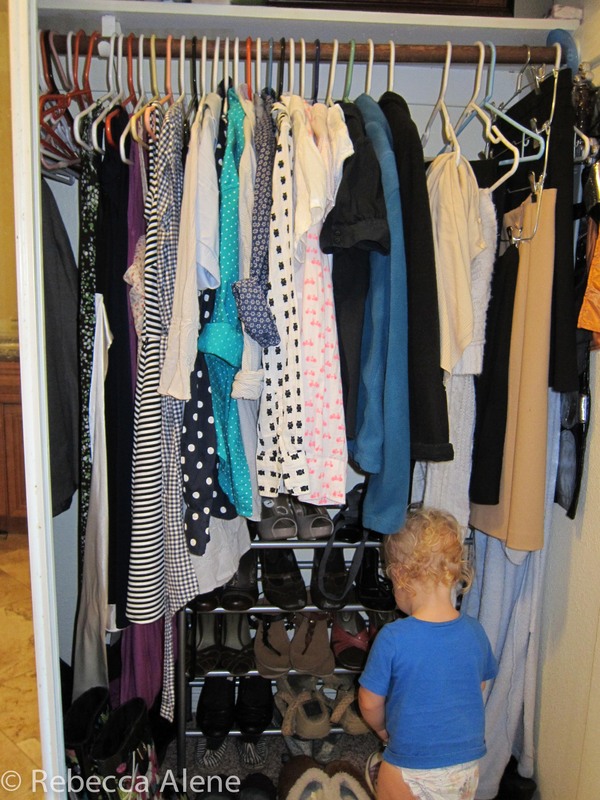 No more stuffing clothes into drawers or shoving clothes back and forth in the closet trying to see what’s in there. What you see is what you get. I’m sure when the season finally changes (around here that won’t be for another month and a half) I’ll have to readjust what I have out but for now I’m loving keeping it simple and loving everything I have to wear.